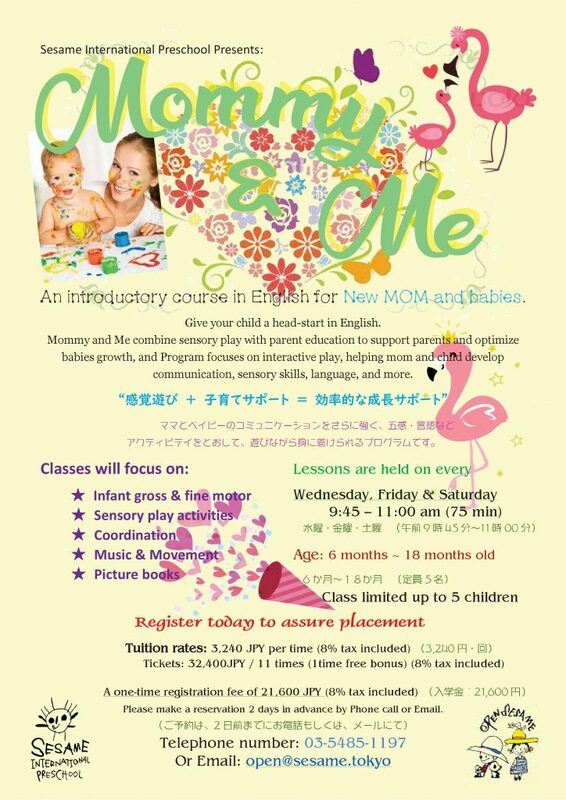 “Mommy & Me” comes back from November 14, 2018 | Welcome to Sesame International Preschool ! With many requests, Mommy & Me program comes back from November 14, 2018! we offer the program which is designed sensory play with parent education to support parents and optimize babies growth. Register today to assure your placement! For more details from here!